Today, in Garching at the M facility, BMW revived the M3 CSL. While not officially dubbed CSL, the M3 Sedan Concept revealed today brings back the idea of lightweight in an M3 and the details are exciting. 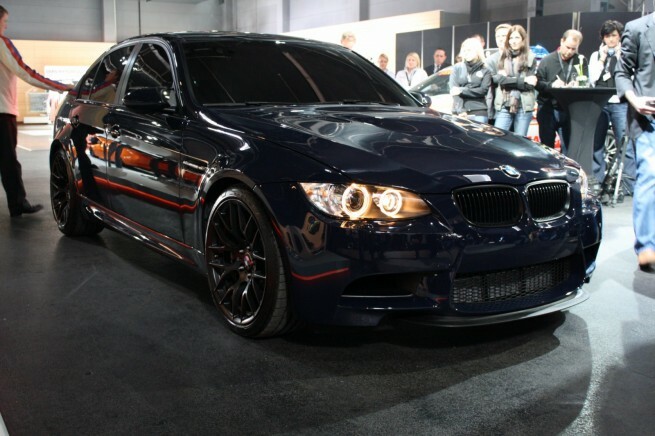 The BMW M3 Sedan will come in limited numbers in 2011 and the idea is similar to the M3 GTS. BMW has yet to reveal any technical specs, but Dr. Kay Segler, current M boss, says lightweight plays an important role in this concept and power will be also adjusted accordingly. We should expect to see between 420 and 450 horsepower. The car will be fully revealed in June at BMW M Festival in Nurburgring. Return of the M3 CSL? Or is it the M3 EVO?